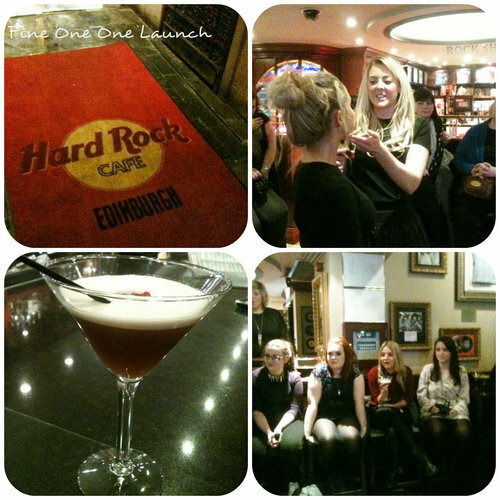 Last night I went to the Edinburgh launch of Benefit Cosmetics‘ newest product Fine One One. It’s not available to buy until Saturday 26th January, so I couldn’t wait to play with mine when I got home from the event. 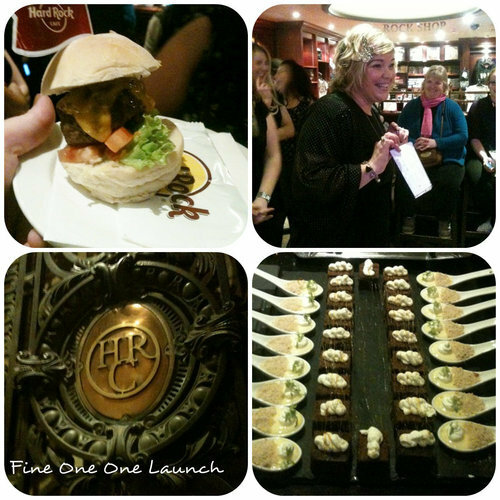 The launch took place at Hard Rock Cafe, and we were treated to lots of their delicious French Martinis; plus miniature cheeseburgers, chocolate brownies and key lime pies. 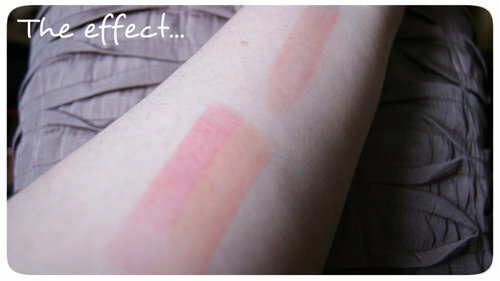 Benefit Cosmetics were on hand to demonstrate how to apply Fine One One, and the effects that can be gained; and it really did look like a wonder product. There are three colours in the sheer brightening stick- champagne, watermelon and coral; giving you colour and highlighter in one. It’s designed to be used on both cheeks and lips. When I got home, I had a go myself with the help of the handy tips booklet that comes with the product. Above i’ve swatched the three colours seperated, and then blended. 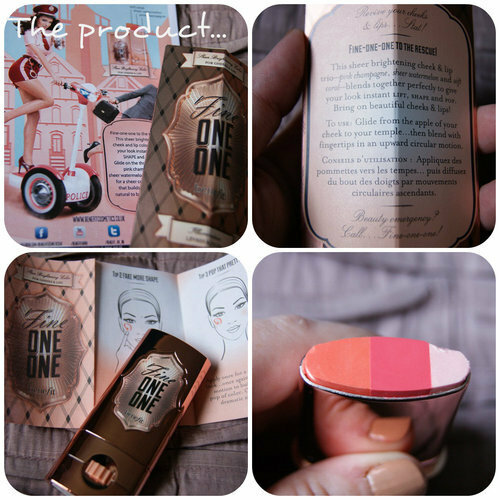 My favourite ways to use Fine One One are to just use the champagne end of the stick on it’s own straight down my nose from the middle of my forehead, as it creates a nice highlight and elongates my features. When applying to my cheeks, I like to use Fine One One to give me a nice pop of colour, so I sweep the stick from the apple of my cheek to my temple (placing the champagne highlighter shade at the top), blend with my finger in a circular motion, and build up the colour until I am happy. It’s a great way to get colour and highlighter in one. Fine One One will retail at £23.50 online at www.benefitcosmetics.co.uk and in all Benefit retail concessions, so go get one from Saturday!